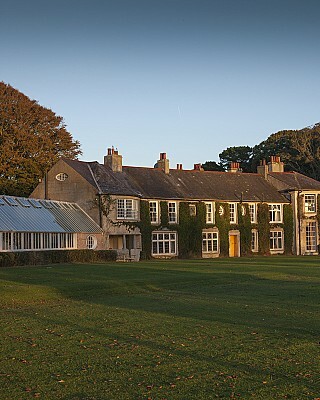 Located in the heart of picturesque County Down, with its necklace of pretty fishing villages, Tyrella is a fine 18th century house surrounded by glorious wooded parkland with its own Polo Ground and Equestrian Cross Country Courses all used for major competions. After a day visiting the National Trust’s Mountstewart Garden or walking on the beach come home to Tyrella’s tranquility, open fires and a delicious dinner cooked by David himself an accomplished cook; a perfect romantic getaway. Tyrella House in County Down is a fine bow-ended house, with Wyatt windows and a handsome classical porch, that has been home to the Corbett family for many years. The original gable ended house was built in the early 1700’s and the regency bowed ended block was added to one gable in the early 1800’s. Later an Arts and Craft wing was added to the other gable. The present owner, David, lives there with his young family. Tyrella House is quietly hidden away beneath the Mourne Mountains, just at the point where they ‘sweep down to the sea’. It is sheltered from the breeze by tall beech woods surrounding its lush pastures, which in turn give onto a private sandy beach. The house is beautifully furnished, and extremely comfortable. After a day of fresh sea air, Tyrella is a wonderful place to relax and enjoy delicious dinners, perhaps of home-grown lamb and vegetables from the garden. The Corbett family are all very involved with horses, which feature prominently at Tyrella House. David has his own private polo ground and lessons or chukkas are available for guests (though they do need to be arranged well in advance). 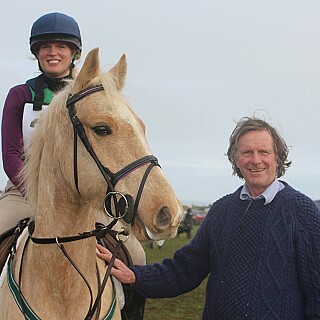 If they prefer something less formal they can also ride over one of several private cross country courses, gallop for miles on the long, sandy beach or just amble quietly around on horseback. Gardeners and lovers of architecture can visit the many National Trust houses and gardens nearby at Castleward, Castlewellan, Mountstewart, Rowallane and Tollymore, all with easy reach. There are wonderful migratory birds at Castle Espie Wildfowl Reserve on Strangford Lough. Trout fishing can be arranged locally and golfers have a wide choice of courses and links while the Royal County Down is just down the road at Newcastle. Those who just want to relax can enjoy the peaceful parkland, the sea, and the sky with the ever present mountains as a backdrop.